Power, the third and final volume of The New Press’s Essential Works of Foucault series, draws together Foucault’s contributions to what he saw as the still-underdeveloped practice of political analysis. 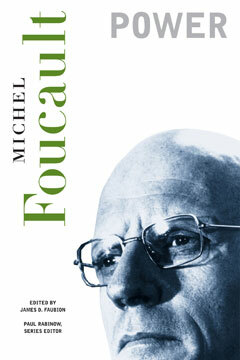 It covers the domains Foucault helped to make part of the core agenda of Western political culture—medicine, psychiatry, the penal system, sexuality—illuminating and expanding on the themes of The Birth of the Clinic, Discipline and Punish, and the first volume of The History of Sexuality. Power includes previously unpublished lectures, later writings highlighting Foucault’s revolutionary analysis of the politics of personal conduct and freedom, interviews, and letters that illuminate Foucault’s own political activism.